Temporary parking restriction in order to carry out essential utility works within the carriageway on Arthur Street, Busby Road & Viaduct Road. Restrictions on Arthur Street between no 1 and 3, on Busby Road between no 140 and 166, and on Viaduct Road between no 3 and 11, and a left turn ban from Arthur Street into Busby Road northbound, and will be in operation for five days from November 29 until December 3. Pedestrian access will be maintained. Temporary parking restriction for essential utility works within the carriageway (manhole cover repair) on Clarkston Road between no 414 and 436, and will be in operation for one day on December 3. Pedestrian access will be maintained. Temporary parking restriction for essential utility works within the carriageway. Restriction on Paisley Road between no 13 and 20, on Fereneze Avenue between no 1 and 11, and on Victoria Road between no 1 and 5, and will be in operation for five days from December 3 until December 7. Pedestrian access will be maintained. Temporary parking restriction on Clarkston Road for essential utility works within the carriageway (manhole cover repair). 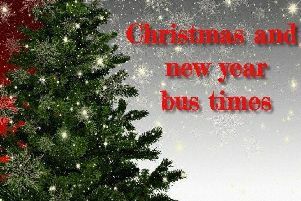 Restriction between no 526 and 538 on both sides of the road will be in operation for one day on December 19. Pedestrian access will be maintained. Consecutive overnight closures of a section of Aurs Road, adjacent to the Balgray Reservoir, in order to facilitate essential Scottish Water pipe repairs. Road closed from 7pm until 6am, Monday, November 26 until Friday, November 30. Consecutive overnight closures of a section of the A726 Glasgow Southern Orbital from Maidenhill Interchange to Belle Craig Roundabout in order to facilitate essential carriageway works. Closure will be in operation from 8pm Monday, November 26 until 6am Tuesday, November 27 and again over the following night from 8pm Tuesday, November 27 until 6am Wednesday, November 28. 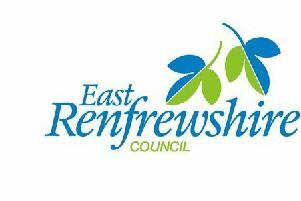 For further information on road closures, visit Road closures in East Renfrewshire.